You'll be jamming those attack buttons hard and fast, shaking the handheld a lot in the process. This makes it difficult to enjoy Lords of Shadow's gameplay using the sensative 3D effect. My advice: keep it off during the action and reserve it only for cutscenes. The Future Of 2D Castlevania? 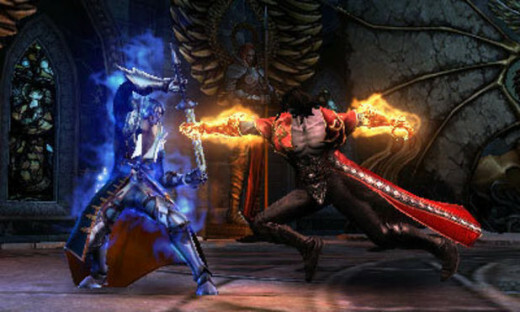 After the stunning conclusion to Castlevania: Lords of Shadow, fans couldn't wait to learn what would come next for Gabriel Belmont, now known as Count Dracula. 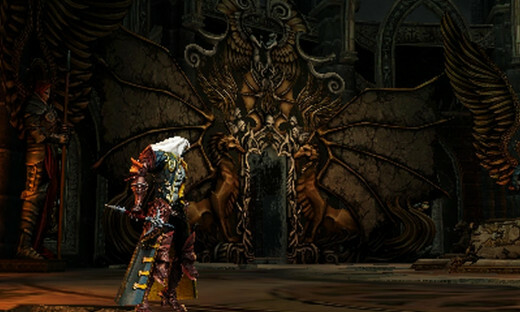 With Lords of Shadow 2 not releasing until next year, MercurySteam crafted a sequel intended to alleviate the wait by filling important plot details, while mixing ideas from the 2010 hit with the series' classic formula. So how does the 3DS' first Castlevania offering stack up? Mirror of Fate puts you in the vampire-slaying boots of three main characters: Trevor Belmont, Simon Belmont, and Alucard. 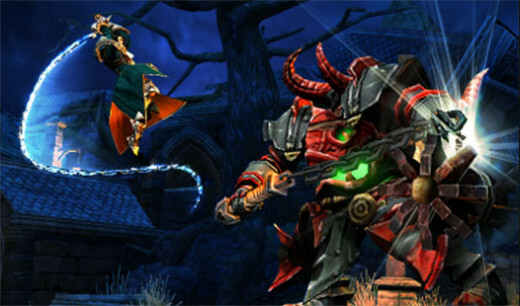 Each wields the series' iconic whip, but have their own unique abilities that can be swapped on-the-fly via the touchscreen. Simon can summon spirits to either shield from damage or aid in battle. 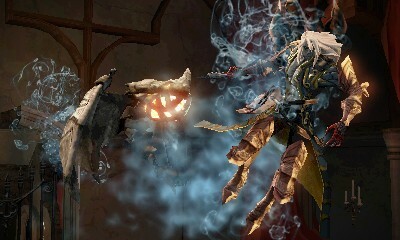 Dracula's virtuous can transform into his signature mist form, as well as morph into a powerful werewolf. Trevor utilizes the same light/shadow magic that powered once powered Gabriel. These powers help the characters feel distinct from each other and while they're all fun to use, mist-teleporting through foes made Alucard my favorite. Combat is the deepest it's ever been in a 2D Castlevania, thanks to a full-fledged combo system similar to Lords of Shadow's. 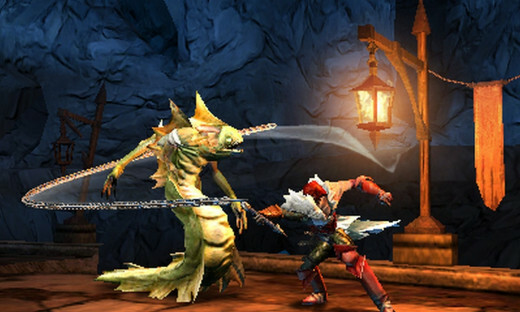 Combos are fast and fun, with stronger attacks unlocked as you level up. You can also block, parry, dodge and trigger QTE executions. Standard attacks satisfy with how impactful they feel, though several executions are disappointingly weak. Blocking works fine, but parrying can be pretty tricky to pull off in frantic situations. Enemies aren't much of a threat and require little strategy other than whipping them like madman. Boss battles, on the other hand, will have you restarting more than a few times and range from being an enjoyable challenge to a flat out annoyance. Even so, seasoned Castlevania players will find Mirror of Fate a relative breeze to get through compared to past titles. Sub-weapons have changed dramatically. Instead of finding a bunch of them around the world, each character has two sub-weapons assigned exclusively to them. 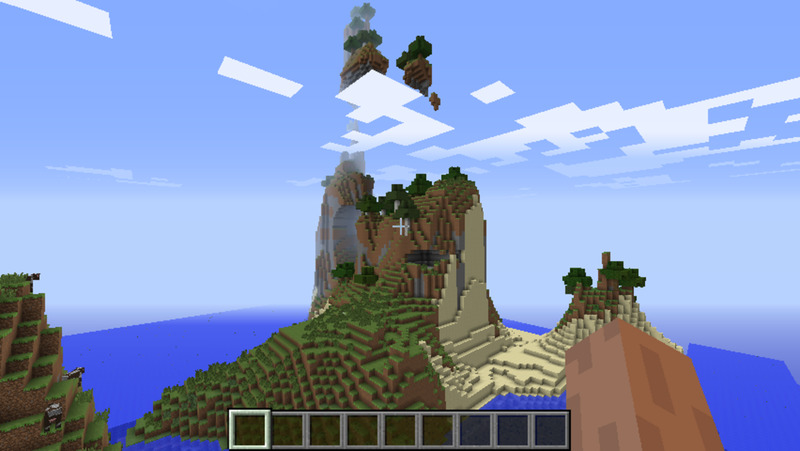 Like powers, these items can be switched using the touchscreen. While the weapons are generally fun to use, I wish I add access to any of them, regardless of the character. The ax, for example, has always been my favorite side-arm and it's only available to Simon; once you're done with his part of the story, it's gone forever. Experimenting with sub-weapons and picking the perfect one for a situation is something I missed. Hearts make their return, but aren't nearly as abundant. You'll usually carry around 10 to 15 - a far cry from the 90 or so in you'll collect in other Castlevania titles. Forget about whipping apart every inanimate object for them too, as hearts are now found in barrels or dropped by fallen foes. This bothered me at first, but playing with the more robust arsenal for a while made me realize that I didn't lean on sub-weapons for help nearly as much, so the limited heart supply made sense. Old school fans may have trouble getting used to this. Like the DS games, the world is divided into smaller mazes as opposed to the massive labyrinth of Symphony of the Night. The creepy environments look fantastic with a level of meticulous detail not often seen in handheld titles. Perhaps my favorite part of exploration is using the touchscreen to write helpful notes about a room and pin it to the map. It's a wonderful way to remind yourself of details, such as locked doors and out-of-reach treasure, that you may forget when you return to that room later and makes backtracking for goodies less of a hassle. Puzzles offer welcome breaks from the action and do a nice job of utilizing several of a character's abilities. Mirror of Fate's plot bridges the gap between the original and the upcoming sequel, and it feels like just that: a bridge. If you haven't played the original Lords of Shadow (shame on you), Mirror of Fate barely references the events in that game, so the uninitiated may feel lost at some points. The rebooted origins of Alucard and the other Belmonts are interesting and it's cool getting the first taste of Gabriel as Dracula. Beyond that, though, not all that much really happens. The plot is pretty sets up the table for the real meat and potatoes in Lords of Shadow 2, doing little to advance the main story until then and that's a bummer. Castlevania found tremendous success on the DS and while Mirror of Fate stumbles in certain areas, it's a solid debut for the series on Nintendo's latest handheld. 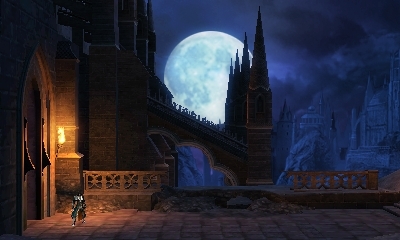 Castlevania can indeed work 2.5D and with some tweaks, it could easily be the next big evolution for series, at least on portables. Imagine a Symphony of the Night-like experience using this technology. Mirror of Fate may be the first step towards that reality. 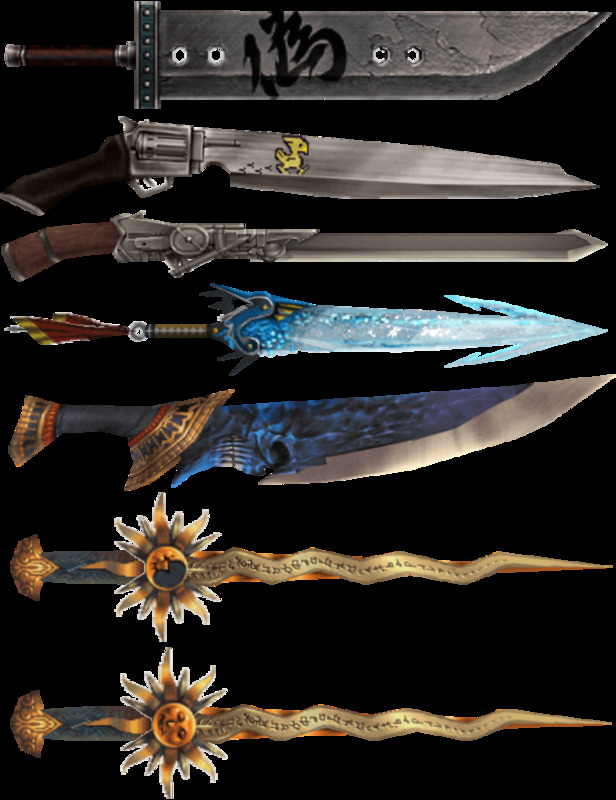 Final Fantasy: Which Sword Would You Wield? I never really got in Castlevania first time around on the NES and the SNES, the difficulty level was just too high and I couldn't see myself sticking with the games. 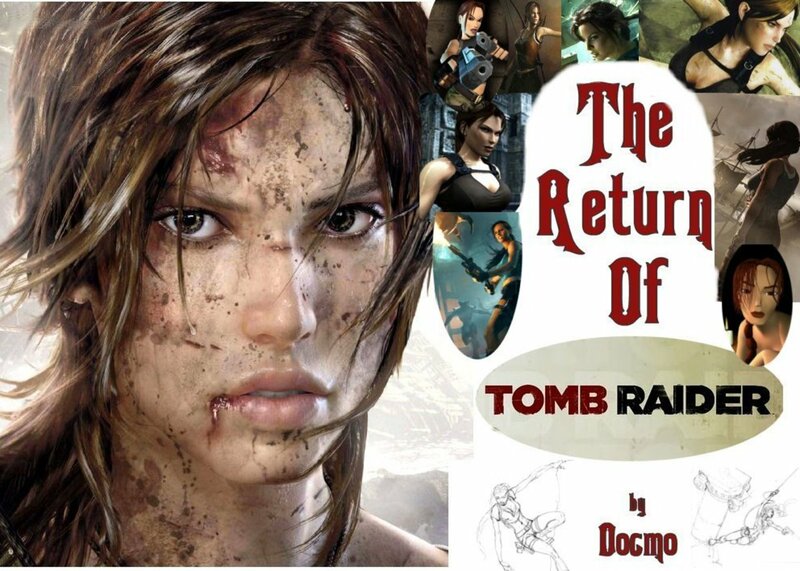 More recently I have played the original games via emulation and they are really starting to grow on me. I've not tried any current generation titles yet, but based on your hub I will give this one a go.